Spending some time in Casuarina? You've picked the right place. There's a pretty good range of hotels available close by. 10 of those are less than 5 kilometres from the middle of town. You should look into the Peppers Salt Resort & Spa and Santai Retreat at Casuarina Beach. All these places to stay are near the main hustle and bustle. If you are after happening neighbourhoods, Coolangatta is hard to top. There are 20 places to rest your weary head in this area. Some examples of hotels in Coolangatta include the Reflection on the Sea and Reflection Tower Two. An alternative to Coolangatta is Tweed Heads. This popular hotel district can be found 13 kilometres from the centre of Casuarina. Should you be keen on basing yourself in this neighbourhood, be sure to check out the Tweed Ultima and Comfort Inn Tweed Heads. For more options, try out the BreakFree Diamond Beach and the Cotton Beach Resort - Tweed Coast Holidays. They are located 35 kilometres and 0.9 kilometres respectively from the center. If these don't suit you, try the Mantra Coolangatta Beach or the Miami Beachside Holiday Apartments. After seeing Casuarina, set out to visit the other attractions in the Northern Rivers area. Northern Rivers boasts beaches and coastal plains, along with commonly visited Northern Rivers destinations like the art galleries and craft workshops. In this part of Australia, travellers may go mountain climbing. If you want to go to some nearby localities, check out Pottsville and Tweed Heads. Travel 10 kilometres to the south from Casuarina and you'll discover Pottsville. Alternatively, Tweed Heads is 15 kilometres to the northwest. Hotels in Pottsville are the Hastings Cove Waterfront Holiday Apartments and Pottsville Beach Motel. 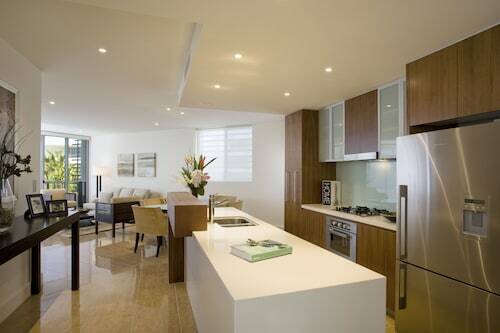 Tweed Heads choices are the Kirra Beach Apartments and Points North Apartments. If you love sports and want to watch games, you might like to visit Mallawa Drive Sports Complex, which is located to the northwest of Casuarina. 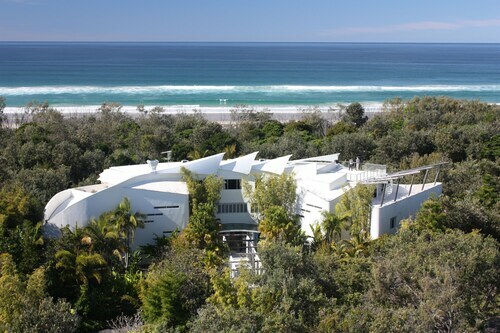 The Sanctuary Beach Resort and the Little Cove Currumbin are near all the action. Visitors arriving or departing via Coolangatta Airport may plan to book a room at the San Simeon Apartments or the Oceanside Resort, both of which are close by. How Much is a Hotel Room in Casuarina? Hotels in Casuarina start at AU$199 per night. Prices and availability subject to change. Additional terms may apply. the room was spacious, staff were welcoming and it's location was fantastic in terms of being close to the beach and a local coles/cafe. Loved the decor of the apartment and the facilities available as wellas the location and proximity to the beach. A unique place with lovely staff and a relaxex setting.